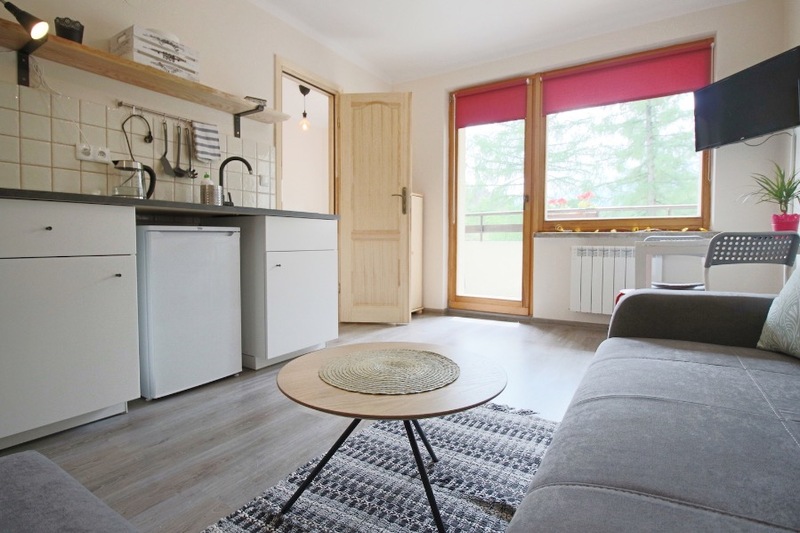 This 1 bedroom apartment is located 600m from the main bus station in Zakopane. Perfect place to explore the town and the surrounding areas. The apartment is newly renovated and decorated for the perfect holiday feeling. The apartment is perfect for a couple, small family or a few friends. There is a double bed in the small bedroom and a double sofa bed in the living room. From the balcony, you can see the iconic Giewont mountain and also lookout onto the main park in Zakopane. There is a kitchenette with everything you need to prepare meals, cooking plates and a fridge. The bathroom is clean and neat with a shower and toilet. There are some excellent local restaurants nearby and buses run frequently from the main station to Morskie Oko, Kuźnice and all other valleys and areas nearby. Every year, at the end of August, the famous International Highlander’s Festival is organised in the park - a lot of fun and great experience!